It’s your chance to choose the charities we donate to, don’t miss it. 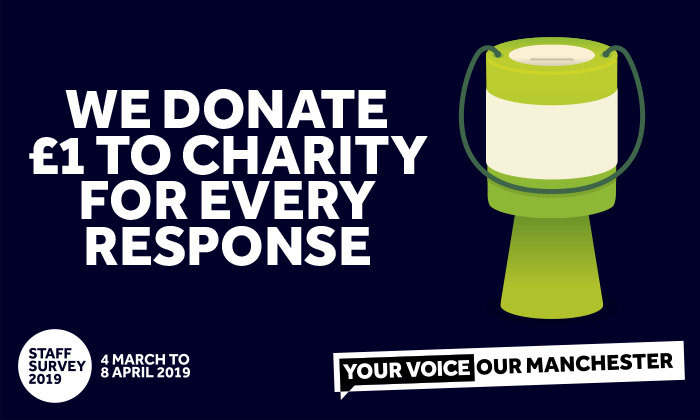 Complete the Staff Survey 2019 and help shape your future working experience at the University, plus we’ll donate £1 to a local charity per survey completed. Vote for the three charities you’d like to receive our donation in our quick poll. You’ll be asked at the end of the survey which charity you want the University to donate to on your behalf. You have until 12 noon on Monday, 11 February 2019 to vote.